This two-day (16-hour classroom equivalent, plus final exam) certification course, entitled Advanced Electronic Intrusion Technician (AEIT), is designed to build on basic security skills and knowledge, such as that covered in our Alarm Level One (AL1) series, in order to provide advanced training equivalent to Alarm Level Two. This certification is often used in conjunction with the FAIT for Qualifying Agents and advanced Security Technician licenses The main focus of this series is to educate and train intermediate and advanced technicians, salespeople, and managers in the security and alarm industries. All course material and data will be presented in a clear and accessible manner. Each course will utilize periodic interactions and knowledge checks to engage learners and help them retain knowledge gained. Content will focus on extended coverage and detail to provide an in-depth education in the information, skills, and techniques needed for professional alarm and security technicians, salespeople, and managers. 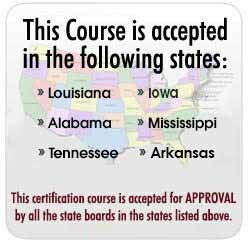 State Certification for advanced training for licensure approved by the Alabama Electronic Security Board of Licensure to be taken with the FAIT for Qualifying Agent applicants, the Arkansas Board of Private Investigators and Private Security Agencies for Alarm Company Manager applicants, the Iowa Department of Public Safety, Division of the State Fire Marshall for Security Alarm System Installer applicants, the Louisiana State Fire Marshall for Type B License applicants, Mississippi Fire Marshal (Residential Electronic Protection Division) for Class B License – Alarm System Technician applicants, and the Tennessee Alarm System Contractors Board. Many security professionals throughout United States are required to take an Advanced Burglar Alarm Technician certification course in order to fulfill their State requirements. This certification course is typically available only through a traditional classroom setting for two days at a time. There is also a huge delay in the delivery of testing results of up to several weeks. This creates a huge problem for the majority of licensees due to logistical, monetary reasons, and time constraints. Because of this fact, many security professionals are not in compliance with the Board rules, and are not properly trained. This can lead to unnecessary fines and liability issues for all licensed companies. Elite CEU has designed and implemented a cost-effective online program which has been successfully implemented in several States throughout the country. It has proven to be a great help to many companies within these states by providing a convenient and educational platform. Since the entire curriculum is offered through a web-based platform this allows everyone access to the courses anytime and anywhere. Now, all licensees will now have the opportunity to meet their mandatory requirements in a more timely and economical fashion. This two-day (16-hour classroom equivalent, plus final exam) certification course, entitled Advanced Electronic Intrusion Technican (AEIT), is designed to build on basic security skills and knowledge, such as that covered in our Alarm Level One (AL1) series, in order to provide advanced training equivalent to Alarm Level Two. This certification is often used in conjunction with the FAIT for Qualifying Agents and advanced Security Technician licenses The main focus of this series is to educate and train intermediate and advanced technicians, salespeople, and managers in the security and alarm industries. 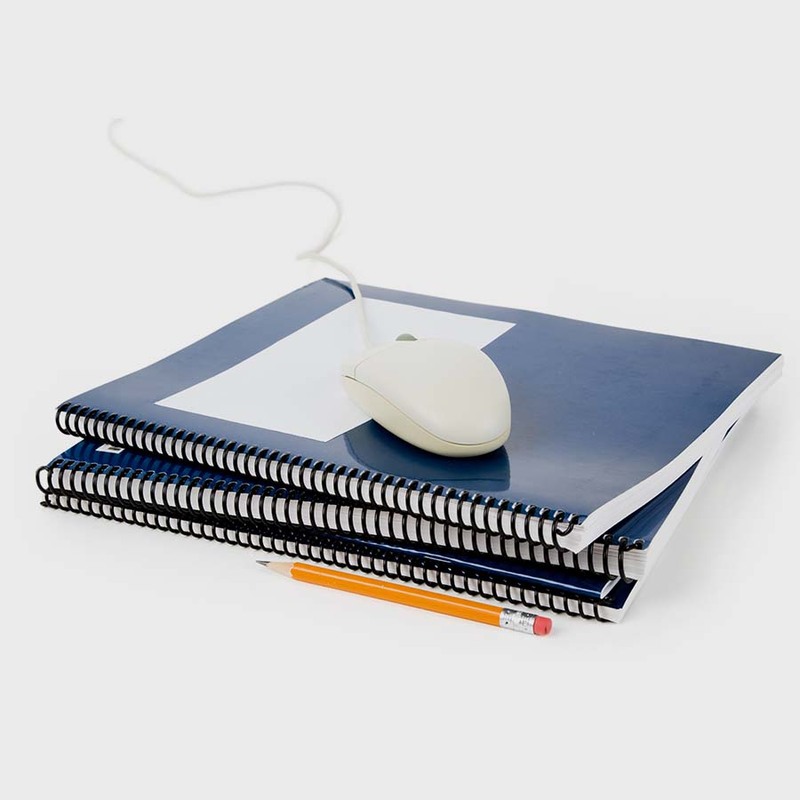 All course material and data will be presented in a clear and accessible manner. Each course will utilize periodic interactions and knowledge checks to engage learners and help them retain knowledge gained. Content will focus on extended coverage and detail to provide an in-depth education in the information, skills, and techniques needed for professional alarm and security technicians, salespeople, and managers. The following topics and MANY MORE will be discussed in detail for the purpose of fulfilling the Advanced Electronic Intrusion Technician (Alarm Level 2) educational requirements. Each group of topics will be divided into 14 titled and clearly identified modules for a total of 16 hours. NOTE: Course modules will be delivered through SCORM standard LMS (Learning Management System) compliant software. A picture ID is needed in order to take the proctored two hour final exam. 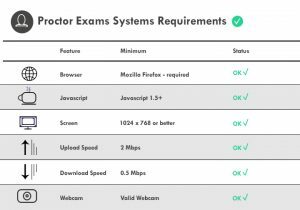 NOTE: If a student fails to pass the exam, they can immediately retake the online proctored final exam and will pay a $55 retesting fee to Proctor Exams. To purchase an exam at a later date, use your Elite CEU login to to access your single sign-on for purchasing.